Once you get to Cantavieja, at around 1.400 meters above sea level, there is a road that goes to Mosqueruela, and goes up to the highest part of Maestrazgo mountains. 400 meters above Cantavieja, the road starts to descent, so it is the time to turn left and start going through a county road, and park the car and see the views, uncovered by any mountain range to Pirineos, more than 250 kilometers away to the North. The actual location is an small hill next to the upper part of the abovementioned road, called “Talayuela”. Its just a 20 meters up walk from the road. The discovery of this fantastic location came after days of researching in several maps online, looking for the best place to see the Pyrenees. 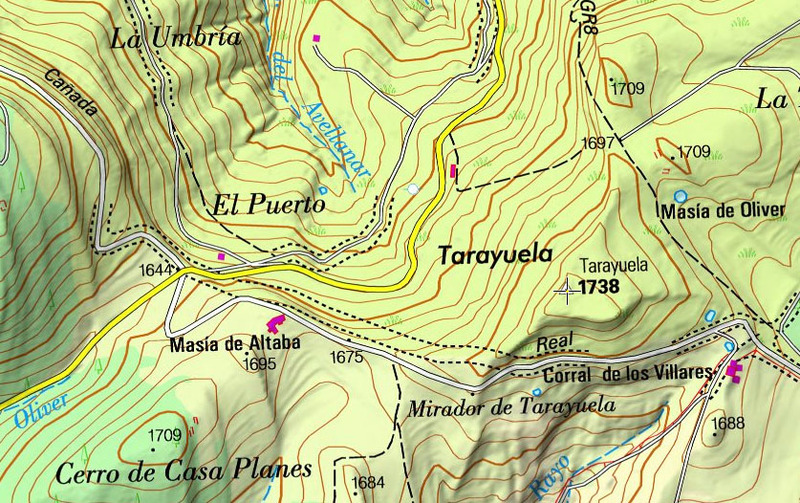 In the map above, the yellow road is the one that cames from Cantavieja to Mosqueruela, and the white one goes to Talayuela peak, at the left of the image. 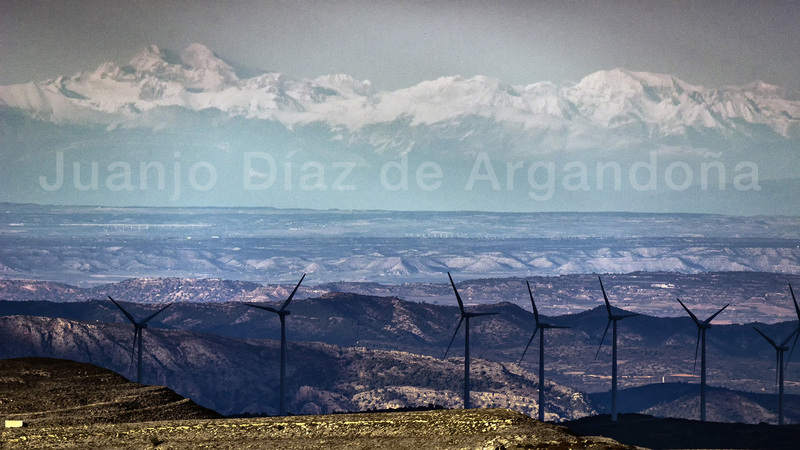 When I finally arrived there, the surprise came as a day with perfect visibility. 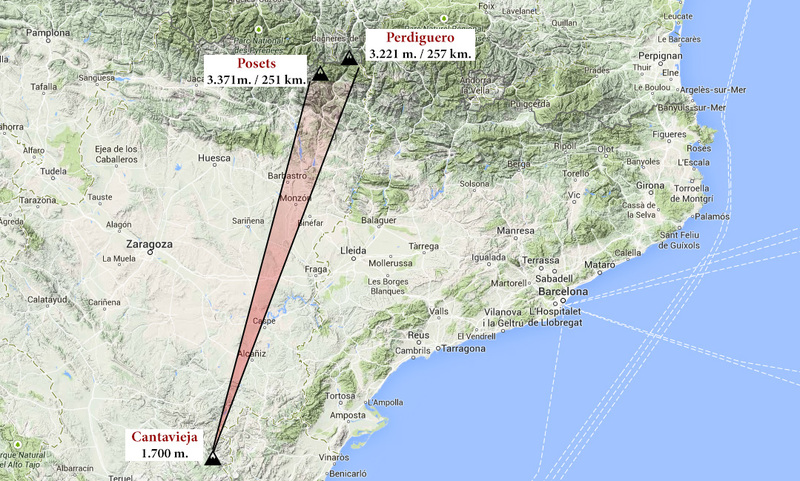 < Previous Penyagolosa – Puig Campana | 181 km. Next > El Pueyo – Posets / Maladeta | 86 km. Me encanta ésta, Juanjo. Es sobrecogedora. Me estás descubriendo un montón de maravillas -¡al lado de casa!- que desconocía por completo. He actualizado con el lugar concreto, por si algún día te animas a ir… Y si no montamos una excursión un día, es impresionante!